Astrology, science of all sciences! How many persons study it? How many understand it? Thereafter how many can make predictions about various events of life? Here is book in your hand which contains formulae and methodology which is the ultimate in making accurate predictions. 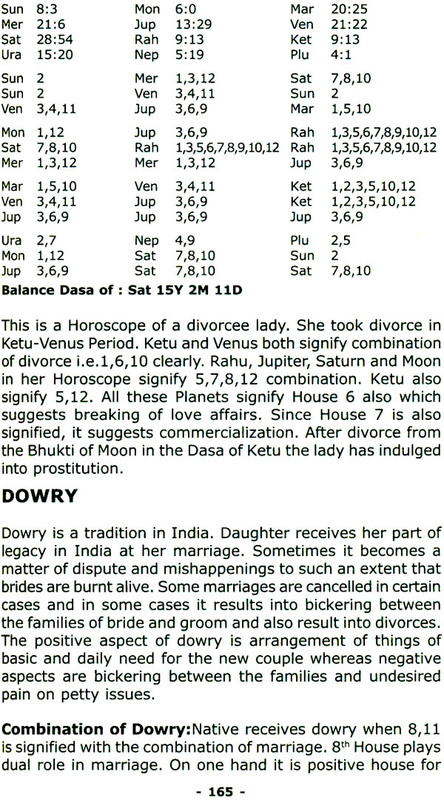 It is a must for all beginners and astrologers. 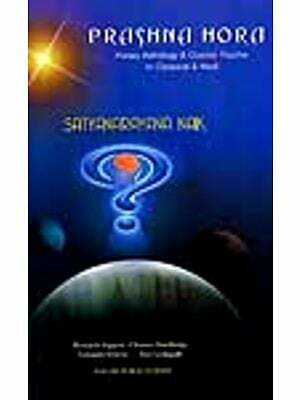 Umang Taneja is the leading astrologer practicing Nadi Astrology and has been teaching the subject since 1998. He has authored 6 books on this subject. He is the first astrologer in the world who exihibited use of “Prasna” live on TV channels. His students are spread all across the Globe. He leads a group of astrologers that are engaged in the research of astrology covering all aspects of life. This book is my first humble attempt in the ancient field of astrology. Astrology over the years has undergone a sea change because of the continuous research being carried out by the scholars of astrology. There are different schools of thought in Astrology & not one school agrees with the principle of the other leading to doubts & confusions in the minds of the readers & the students. 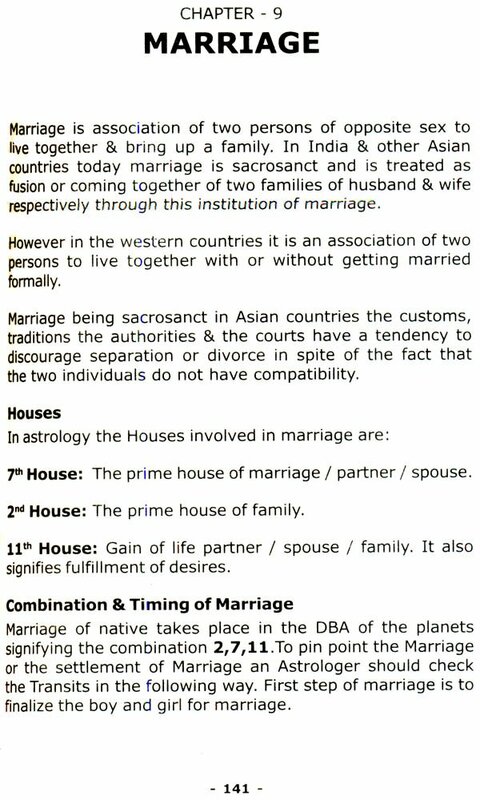 According to me, astrology has been a science, is a science & will be a science & therefore it should be studied in a scientific way & the latest research confirms this to be a pure science. 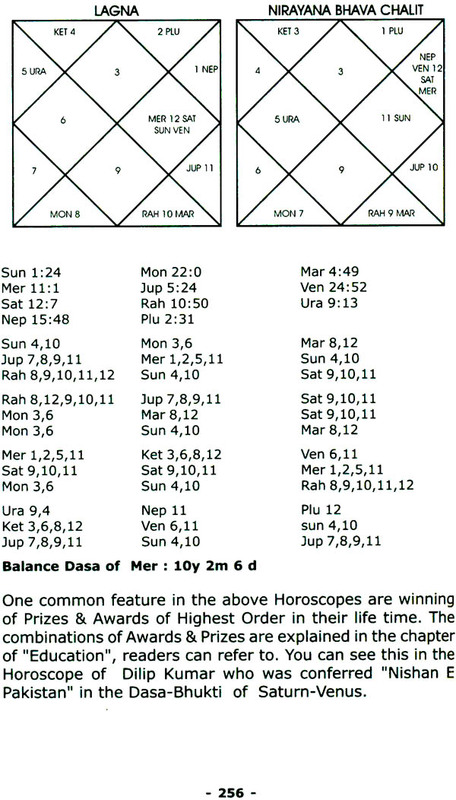 There are two most important features of astrology, one predicting an event & the second timing of happening of the event. 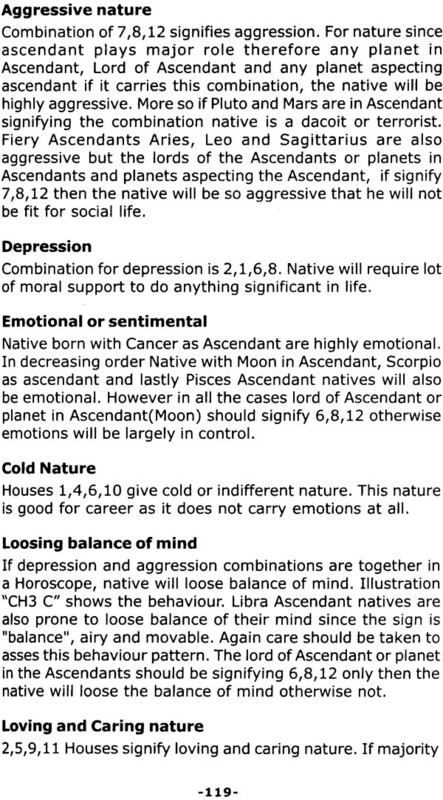 The entire happenings in the life of a Native are contained in the natal horoscope & the only thing required is correct application of the Astrology on it. The correct prediction presupposes the knowledge of exact time, date & place of birth. There is no intention to create or enter into any controversy about the system & methodology adopted by astrologers in prediction. 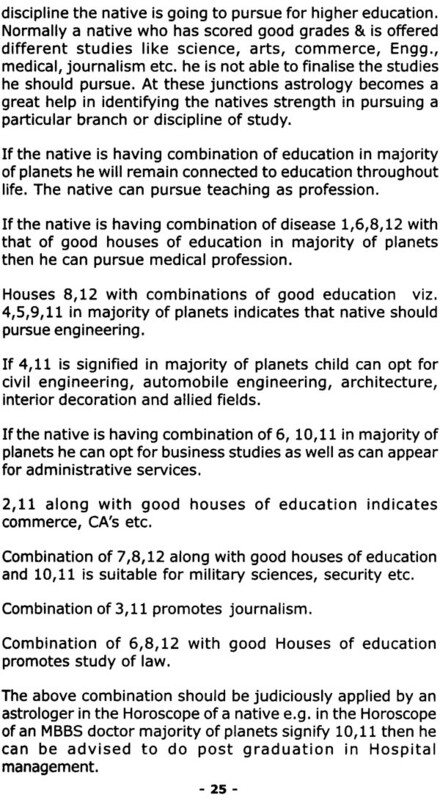 It is a known fact that there is no actual division in "Zodiac" for dividing the same into various Signs & Nakshatras. It is only a system & methodology adopted to study the impact of the planets & stars on the native living on the planet "Earth" of the "Solar system". 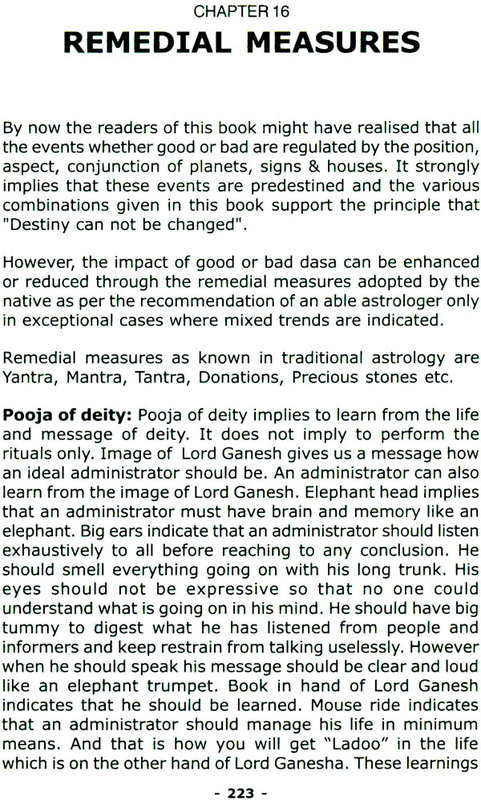 I have followed in this book the principles of "Nadi Astrology". 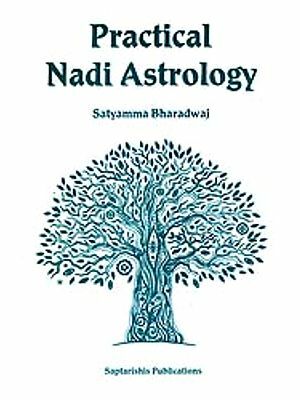 According to the principles of the Nadi Astrology the Zodiac is divided into 12 equal sub divisions of signs with equal subdivisions of the 27 Nakshatras. 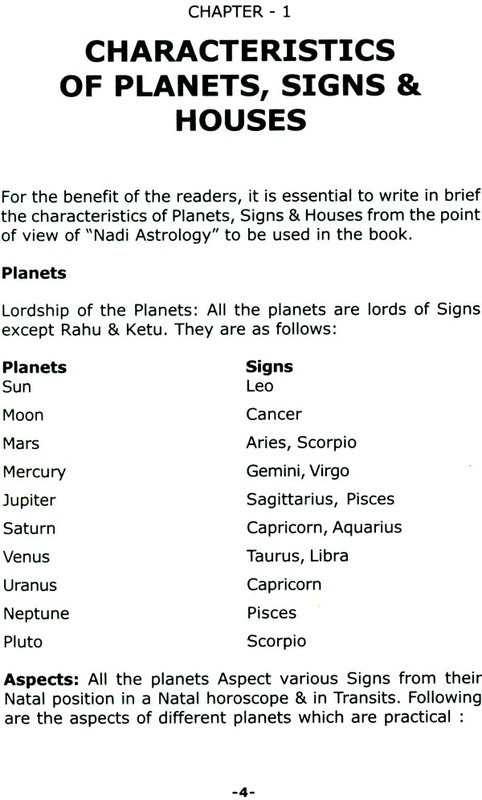 These Nakshatras are further subdivided into unequal "Sub lords". 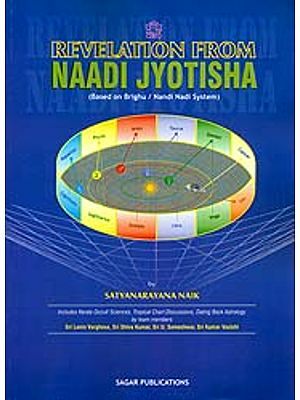 The system lays greater emphasis on the sub lord which is stronger than the Nakshatra & in the same sequence the Nakshatra is stronger than the Planet. The experience shows that the system of study of Astrology through the Sign, Nakshatra &Sub lord gives most accurate results. 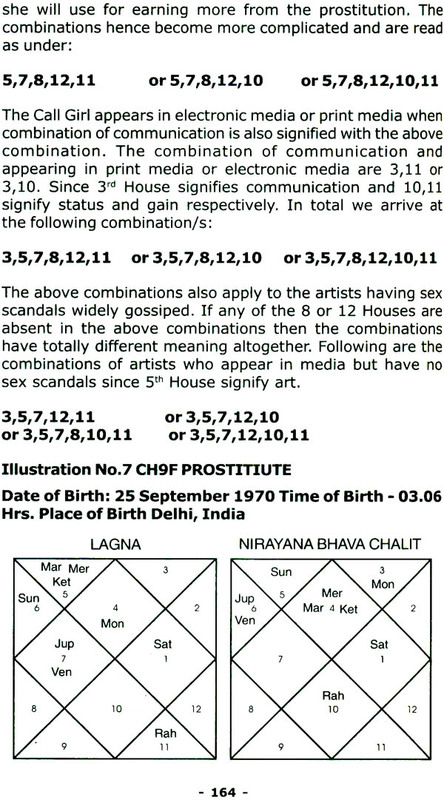 In this system we cast the horoscope of the native by taking date, time & place of birth by drawing Lagan chart & Nirayana bhava chalit chart. The Lagan chart shows the planetary combinations of the planets in the Zodiac at the time of birth of the native whereas Nirayana bhava chalit shows the planetary combination of the Zodiac as seen by the native from that Latitude & Longitude with a correct "Ayanamsa".
. For fructification or culmination of an event, we don't have to see only one house relevant to fructification of event because other houses are also affected directly or indirectly. 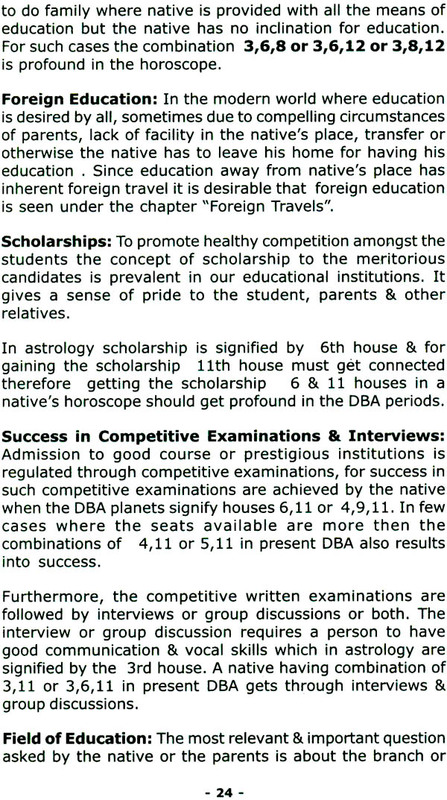 The impact of the other houses is also to be taken into consideration while predicting an event. 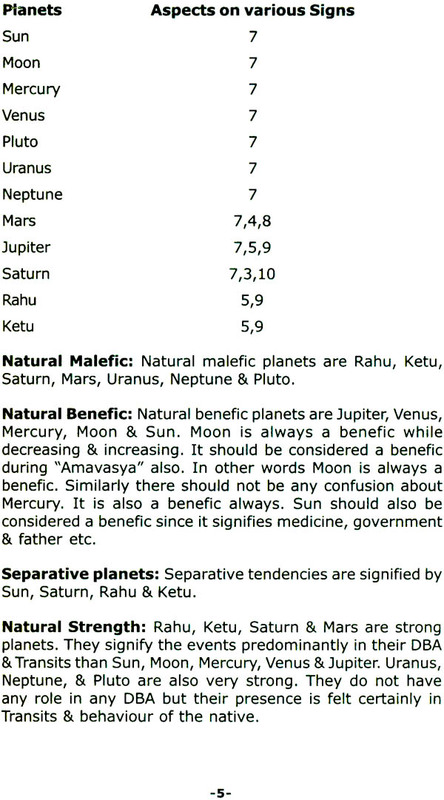 In addition to it, we have not to forget the conjunctions & aspects of the planets. Ultimately it has to be correlated to Vimshottari Dasa for timing the events. Timing of an event is the essence of Astrology & we can make it more precise by taking into account "Transits of the Planets". 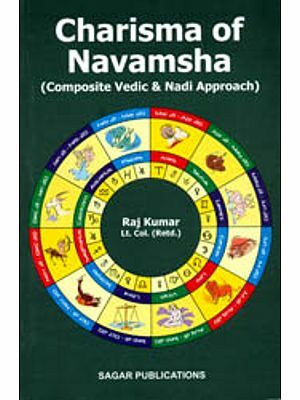 With this background I have tried to cover all the important events of life along with the variation in such events & made this book exhaustive for the benefit of the readers & students of Astrology. 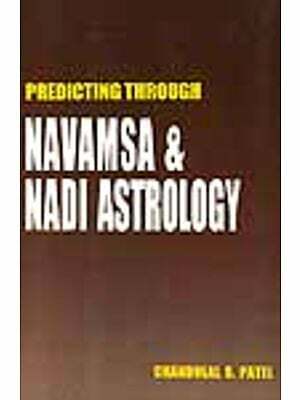 In this book illustrations of natives have been given whose horoscopes I have studied & predictions have been made accordingly. 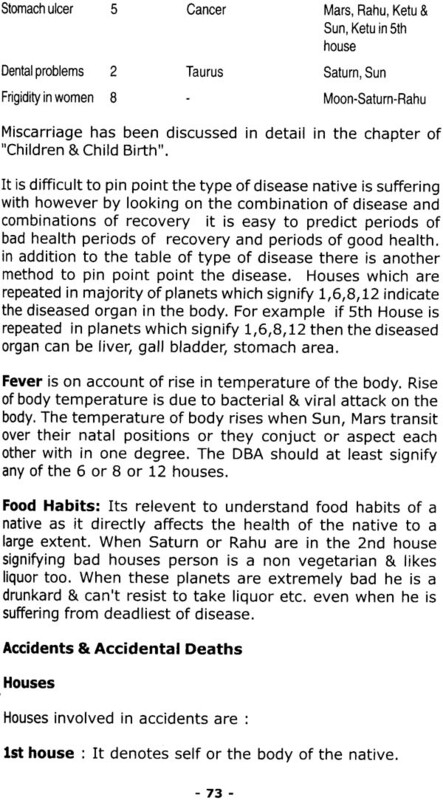 Two horoscopes have been discussed in all the chapters to make the readers understand that the method is capable of handling all the events of the life of any native who had taken birth & will take birth on this planet Earth. 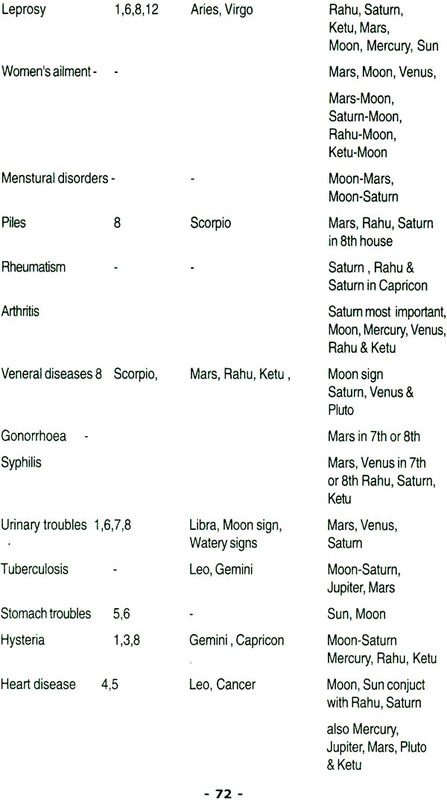 Notable horoscopes of illustrious people have also been discussed in a separate chapter which substantiates the application of the system & method. Correction of the natal horoscope has also been made possible by applying Ruling planets & by matching all the past events of the native. 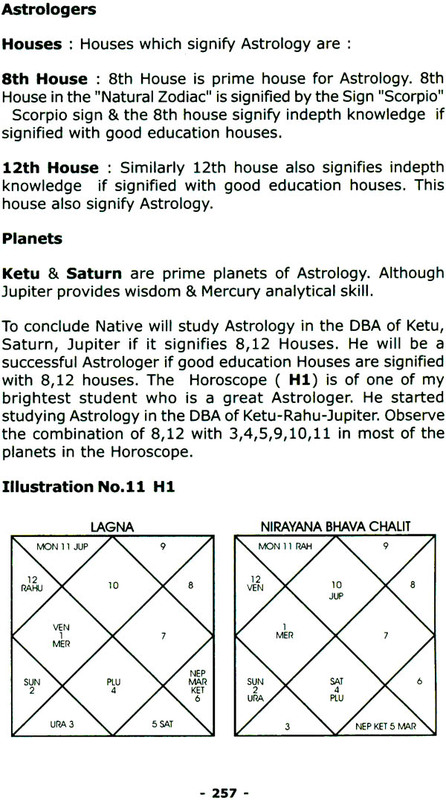 Muhurat & Remedial measures in Astrology have been given in the separate chapter. 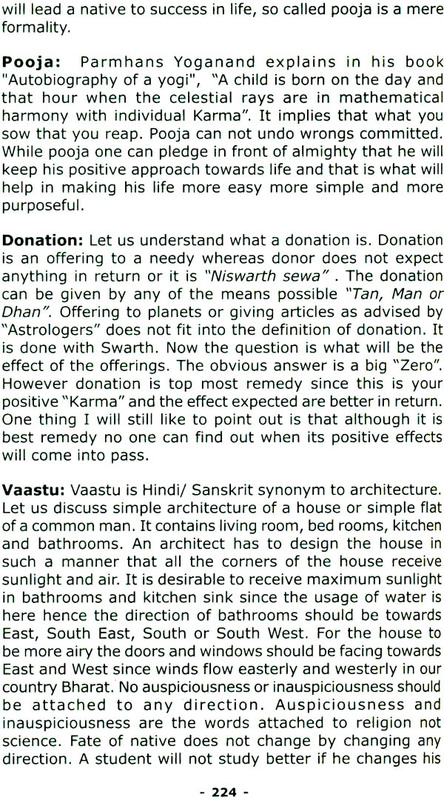 Efficacy of remedial measures has to be judged by the Astrologers for which guidelines have been given. One last word for astrologers & readers, please apply common-sense & judge the General Standard of the horoscope before making any prediction. For example, if the combination of vehicle appears in the natal horoscope which is average, do not predict purchase of four wheeler because it will be a purchase of a two wheeler. 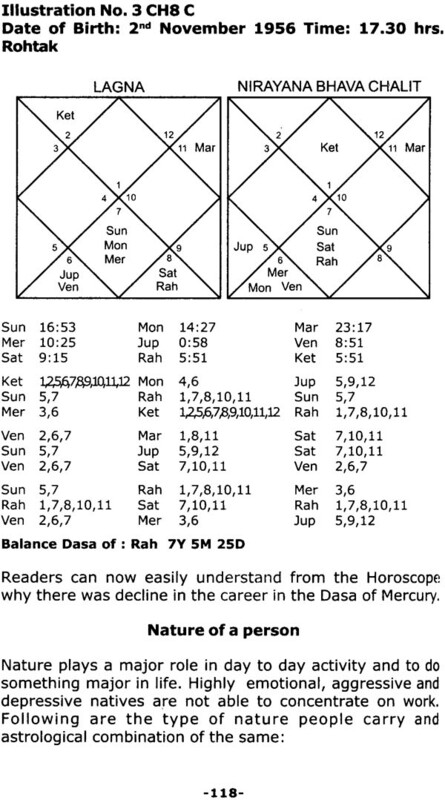 Therefore, critical analysis of horoscopes is required before making any prediction depending on time, place & conditions. Though it is very difficult to concise all the events yet I have tried to cover all the aspects of human life based on my knowledge, observations & experiences. I appeal to all readers to write to me for any suggestions, improvements so that I incorporate the same in next edition of my book.